Limerick Football Club Academy aims to provide a Player Pathway Development Programme with an emphasis on the learning and development of players by the setting of their own performance goals to play football.The learning and development of the player is first. Limerick Football Club Academy aims to develop players for the Schoolboys/girls section of Limerick Football Club and to create a football structure that enables those players to play within the schoolboys league.Limerick Football Club Academy believes success is best achieved by assisting the individual maximise his/her potential. Limerick Football Club Academy aims to create an atmosphere which will develop and encourage independent, self-thinking players.The main aim of the Limerick Football Club Academy Player Pathway Development Programme is long-term development and performance, rather than short-term success. All parties need to be honest with themselves and with others; to be committed and loyal and to be willing to communicate openly. Sportsmanship and respect for each other is essential. All sport will be conducted in an atmosphere of fair play. A child-centred ethos will be upheld in the Limerick Football Club Academy. Providing fun, enjoyment and personal satisfaction will be balanced alongside competition. Limerick Football Club Academy will provide a safe, positive, encouraging environment conducive to optimum player development. In the spirit of integration and inclusion all children will be treated equally regardless of age, ability, gender, religion, social background, ethnic origin or political persuasion. Long-term development and then performance principles, rather than short term success, is the main objective of the Limerick Football Club Academy. Avoid pressuring the player about winning and losing. Encourage in coaching and games, leaving instructions and guidance to the coaches. Be a good role model by examining their own behaviour. Do not ignore or dismiss complaints or concerns expressed by a child, which relate to his/her involvement in Football. Be punctual for training sessions/games and do not treat the Limerick Football Club Academy as a childminding service. Support the player, the Academy and the coaches in whatever way possible. Communicate early with the coaches about any problems in the child’s life. Take pride in doing their best and striving to reach and maintain their own standards of excellence. View mistakes and failures as part of life, using them as obstacles and challenges for improving performance. Practice skills and techniques and attempt to apply them in games. Recognise that they represent Limerick Football Club Academy at all times, showing good behaviour, appearance and respect for other people, equipment and facilities. To keep good time-keeping, being punctual for both practice and games. Take care of kit issued and its return promptly when requested. Ensure the Limerick Football Club Academy managers are informed if he/she is unable to attend any coaching sessions or matches. Attend school punctually and regularly, complete school work/homework and behave at school as he/she would when with Limerick Football Club Academy. Follow a lifestyle appropriate to development, spending leisure time positively, eating, drinking, relaxing and sleeping sensibly. Respect team mates, coaches, opponents and referees. Treat all others as they would like to be treated. Coaching Sessions: For all coaching sessions (indoors or outdoors) players must wear full Limerick Football Club Academy kit (socks, shorts, training top, tracksuit and rain jacket) from the Academy committee. Matches: Players must arrive and depart from all games wearing their full Limerick Football Club Academy tracksuit. Players must warm-up in their rain tops, NOT their tracksuit tops. Players must always bring a towel and their own toiletries as well as shin guards and CLEAN BOOTS. Care and Ownership of Kit: Last season there was a great deal of lost property and numerous items of kit went missing. So please put your name or initials on EVERYTHING, including your own water bottle. Players and parents should note that the vast amount of money, time and organising that goes into getting kit. This is a role in itself, and must be kept in order to facilitate the professional development of the players and Limerick Football Club Academy. Membership of Limerick Football Club Academy for Season 2016-17 is open to all girls and boys aged 16 years and younger. 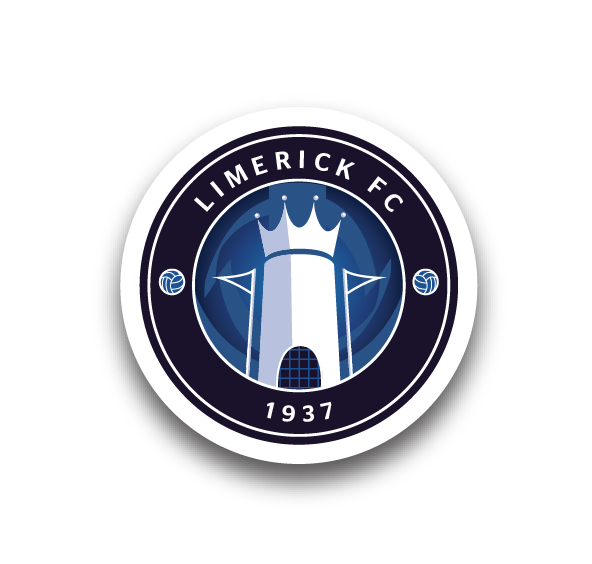 The membership fee for 2016-17 is €150, The Club Membership Card will entitle your child to entry to all Limerick FC home league matches. If you would like to secure a place for your daughter or son in any section/team in Limerick Football Club Academy please download the application form. Limerick Football Club Academy: Kirby O’Sullivan, Sports Social & Business Park, Killmallock Rd, Bruff, Co Limerick. 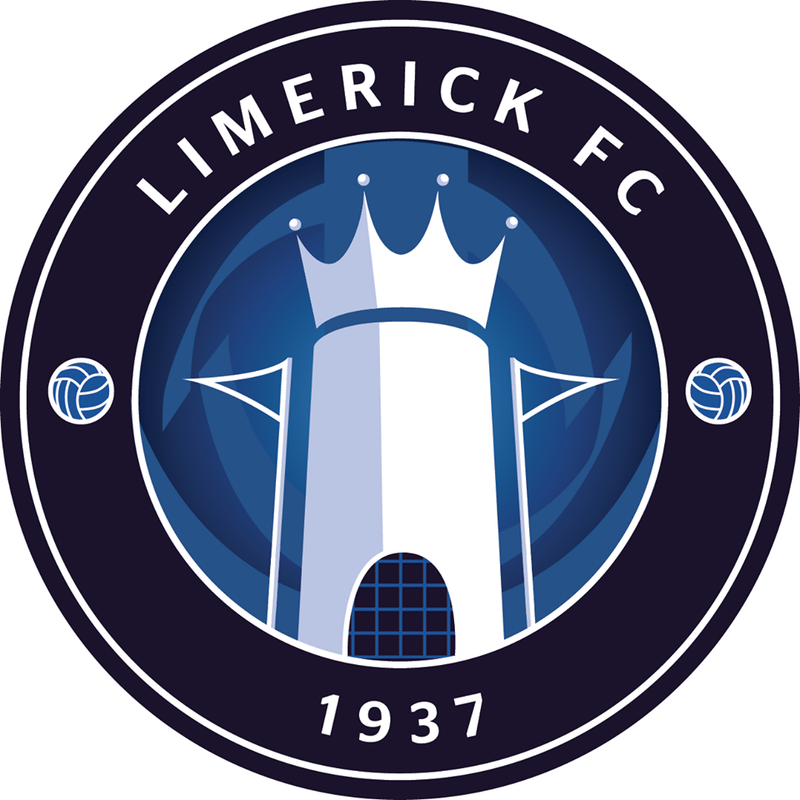 If you have any queries or require further information, please contact Limerick Football Club Academy at academy@limerickfc.ie / 061 389821 / 085 2116421.